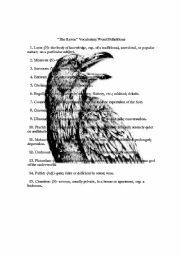 This is a full lesson for Edgar Allan Poe´s "The Raven." It begins with vocabulary and their definitions then I have a copy of the poem, which is now public domain, and finally I have comprehension questions. It´s good for a poetry unit or for halloween. 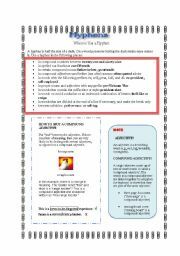 This is a worksheet stating the rules for using hyphens. 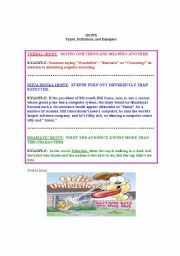 It includes how to tell if adjectives are compound and thirty-two sentences to practice using hyphens. 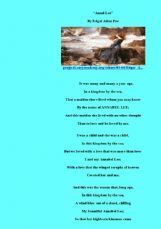 This is another one of Edgar Allan Poe´s poems. I have a few vocabulary words, the poem, some notes, and comprehension questions. I hope you find it useful. 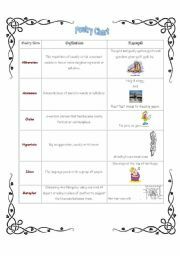 This is a worksheet that focuses on just the coordinating conjunctions. I have the sentence pattern for a compound sentence that they fit into, and I also have one exercise for students to complete. 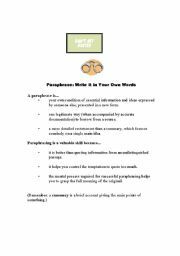 This worksheet defines the three main types of irony: verbal, situational, and dramatic. It also has examples and an exercise. I hope it is useful. 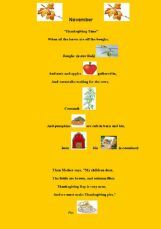 Alliteration,assonance,cliche, hyperbole,idiom, metaphor, onomatopoeia, simile, and personification are on the chart. 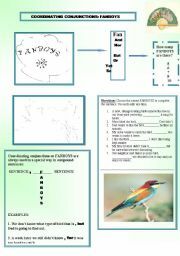 I have an exercise with an answer key to go with it. This can work with high intermediates or advanced students. 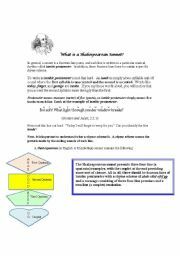 It explains the difference between paraphrasing and summarizing, and there is one long paragraph with an answer key. I also have two websites for additional help. What is a Shakespearean Sonnet? 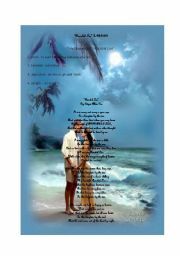 The Shakespearean sonnet is explained in detail which includes iambic pentameter and the rhyme scheme. 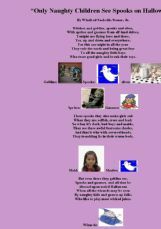 "Sonnet 78" is featured and is summarized. This is a project that could be done in middle school or high school. I like to do this when I teach about knights in British literature. 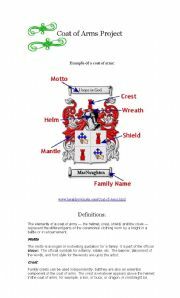 It contains definitions, clip art of animals, colors and their symbols that were used in creating a blazon. Finally, there is a template that can be printed. 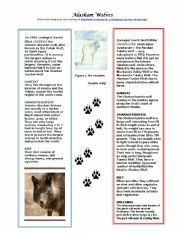 This is a nonfiction reading activity that has a three-column chart for comparing and contrasting Alaskan wolves. After the chart there is a cloze paragraph that uses the information from the chart. There is also an answer key. This is my version an adjective ppt for older students who are intermediate learners. It also explains the questions that adjectives answer. This exercise goes with my ws. Again it has the poem, a note about who Annabel Lee was, three comprehension questions, and a wordsearch. I tried to put a Youtube video in, but it just didn´t work. Sorry! This poem is a sentence poem by William Carlos Williams. 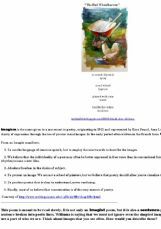 I have defined imagism and sentence poems. I also have quotations from Williams and a link to Wordle for students to try. I end with some choose the correct answer questions. This is a short poem by Robert Louis Stevenson. I illustrated and defined a couple of the words, explained alliteration, and explained that it was contrasting summer and fall. Finally, I have a few questions and a wordsearch. Happy Thanksgiving! 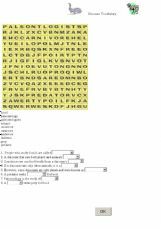 The student chooses the correct word to match the definition, and then finds the word in the puzzle. 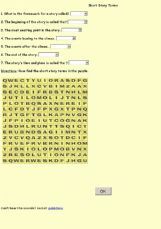 This is a wordssearch and fill-in-the-blank sentences focusing on nine vocabulary words. 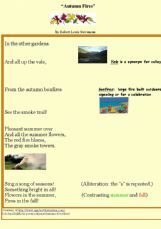 I put a link for students to go to read the poem because it is so long. 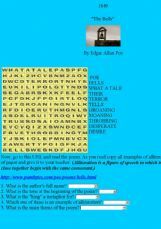 They also have a wordsearch and five questions to answer about the poem. I hope it is useful. 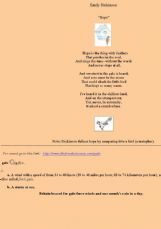 This is an exercise about Dickinson´s poem "Hope." I have illustrated and provided the free onlinedictionary url for the words. I then have some mulitiple-choice interactive questions and a wordsearch. I hope it is helpful. 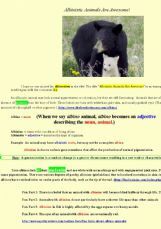 I have tried to give a very basic explanation for why some animals are albinos. There are several CUTE pictures. I also explain how the title is an example of alliteration, and the different parts of speech "albino" can become when the spelling is changed and when it describes a noun. This is a Halloween poem that explains couplets, synonyms, and antonyms. It has some illustrations, questions, and a wordsearch. This ia a short Thanksgiving poem that I illustrated and created a few questions. There is also a fact about our President and a wordsearch. Happy Thanksgiving! !